We all know the dreaded period known as Mercury Retrograde. 3-4 times out of the year the communication planets orbit slows so that it appears to be moving backwards. This slow in orbit causes friction within the energetic frequencies that are sent to us. During Mercury Retrograde, it is not a time to buy electronics, sign contracts, or make any drastic changes. 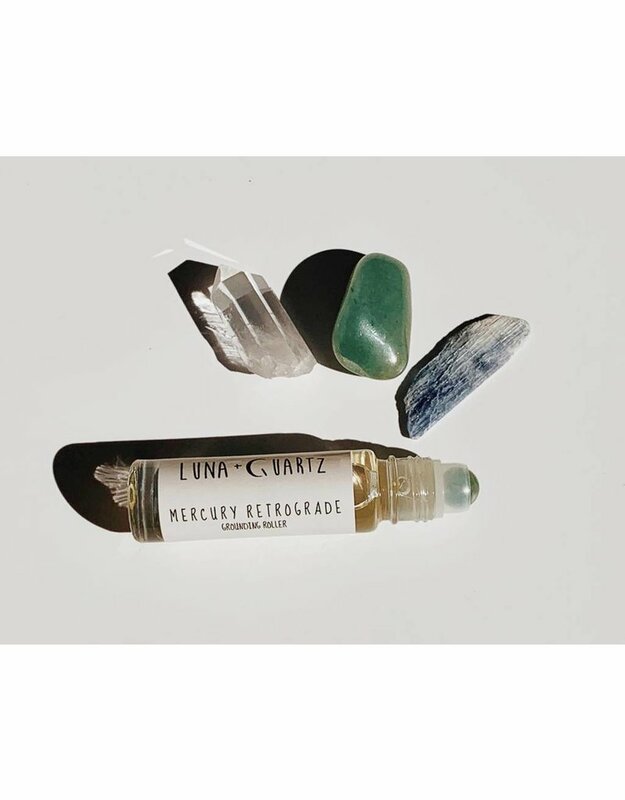 We’ve created the perfect blend of oils and crystals to help ground you during the craziness. 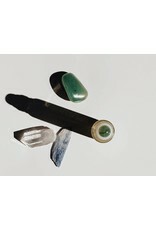 Infused with Kyanite and Green Aventurine. *Roll on pulse points at wrists and neck, close your eyes, take a deep breath, and breathe in the magic. +Kyanite+ Bridges gaps in communication and aligns the chakras. +Green Aventurine+ The stone of opportunity, brings optimism and encourages perseverance in navigating through life’s obstacles. This stone is thought to be the luckiest of all crystals. Ingredients: Sweet almond oil and Essesntial oil blend Fennel, Cinnamon, Peppermint, and Rosemary. Infused with Kyanite, Green Aventurine, and Magic.